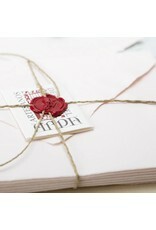 Arpa papers are handmade in Spain using traditional processes. 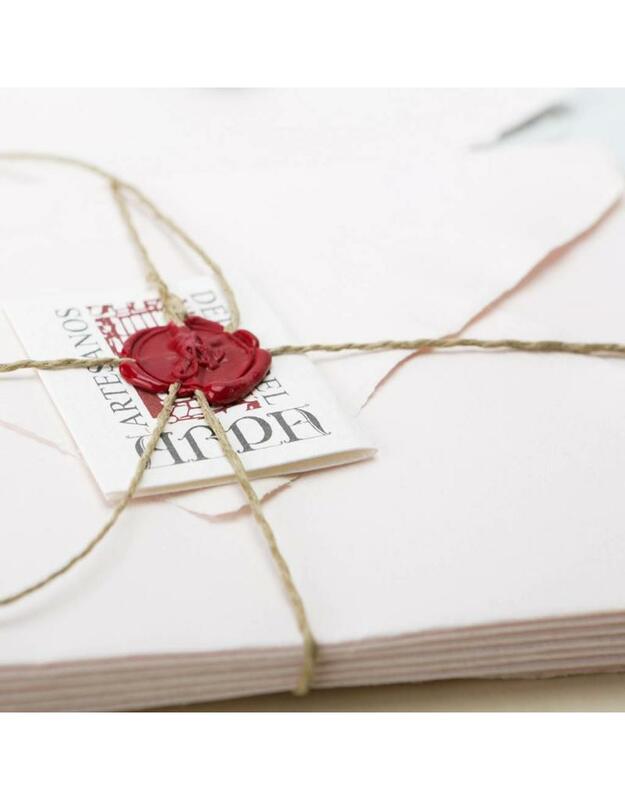 Each sheet is individually formed with a deckle on all edges. 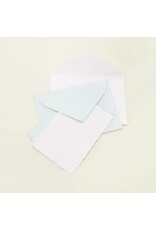 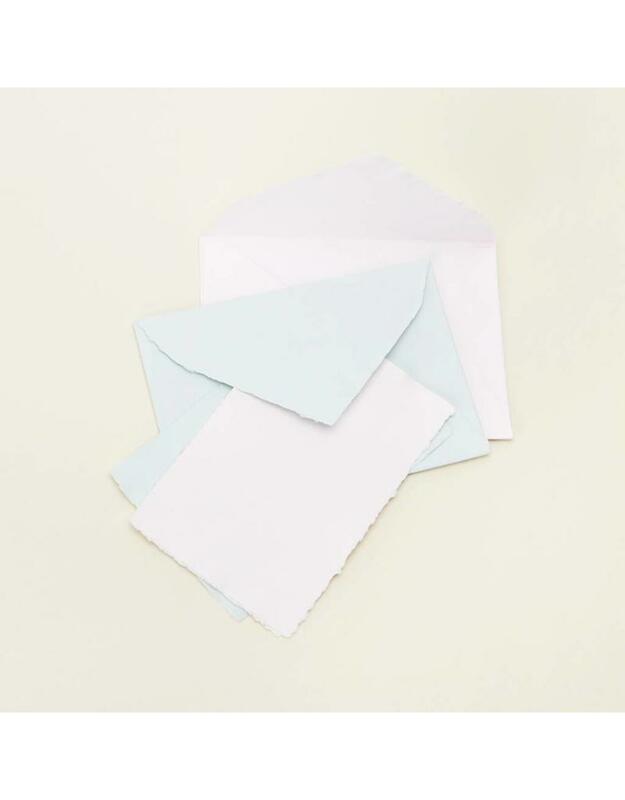 The long hydration and air dry treatment of the cotton fibers gives a distinctive volume and texture to Arpa's papers. 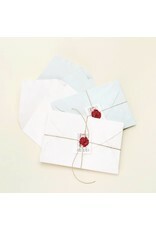 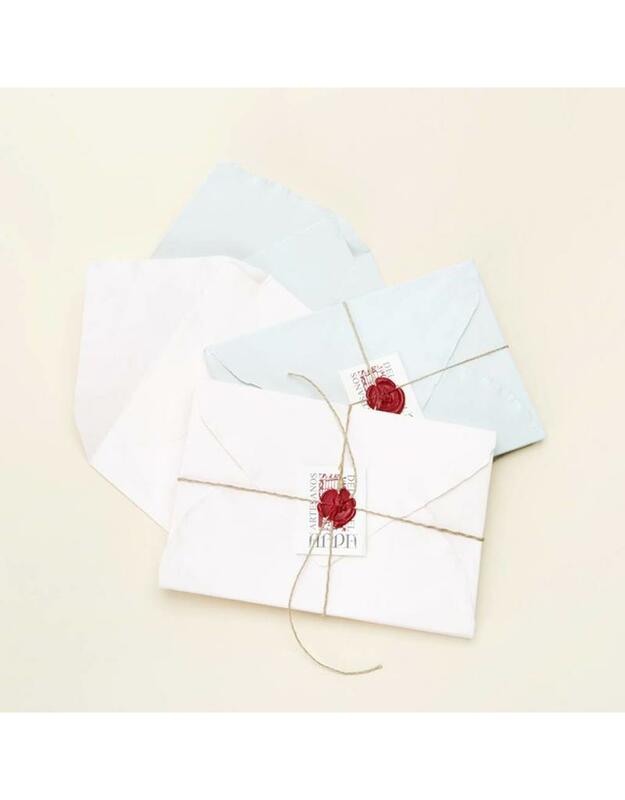 Each set comes with 6 cards and envelopes in pale tones of blue or pink, bundled with a thread tie and a red wax seal.